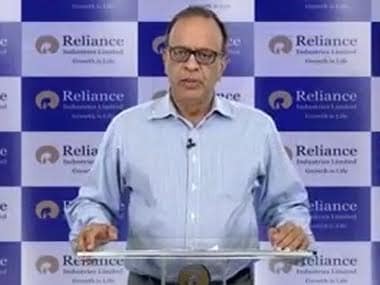 Reliance Industries (RIL) on Thursday reported a consolidated net profit of Rs 7,206 crore for the quarter ended September 30, up 43.1 percent over the corresponding quarter year ago. "The company has achieved outstanding second quarter results with strong refining business performance and record petrochemicals segment earnings," RIL Chairman and Managing Director Mukesh Ambani said. Refining business sustained high profitability in a tough environment highlighting efficiency of RIL's refining assets, dynamic response to market trends and robust operations. Petrochemicals segment gained significantly from higher volumes, integration and supportive product margins, he said. The owner of world's largest refining complex saw profits from the refining business dip 9.4 percent as it earned $10.1 on turning every barrel of crude oil into fuel in the second quarter, lower than $10.6 per barrel gross refining margin in the same period of last fiscal. "This has been a good quarter for us. The company has set two new records - stand alone net profit at Rs 7,702 crore and quarterly EBIT in the petrochemical segment at Rs 3,417 crore. Consumer businesses are gaining traction and have also done well. Retail has got magnificent growth in revenue at over Rs 8,000 crore. 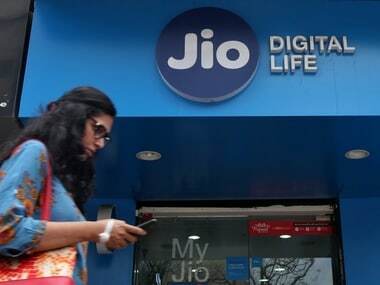 And Jio has acquired more than 16 million customers in less than a month. We have a better commodity price outlook than the previous quarter and think 2016 oil demand will be between 1.3-1.4 bpd. India has also seen demand growth across all our products. In refined products we have seen 8 percent demand growth in the first half compared with the year-ago period. This demand growth is lead by gasoline and aviation fuel, both of which are roughly up 11 percent on year. Diesel is a bit softer at about 3 percent but it is to be noted that this is the traditionally weak monsoon period. All leading indicators of the product demand look encouraging. Look at vehicle sales in India. They are between 6 and 12 percent higher across categories. There is strong growth in petrochemicals too. We have seen demand growth across all our major categories in India. As far as gross refining margin is concerned, our outperformance of the Singapore benchmark has been $2.5 per barrel over the last five years. In this backdrop, the $5 outperformance over the last two quarters is significant. Retail business revenue is up to Rs 8,079 crore, up 63 percent. EBIT margins were flat but EBIT was at Rs 162 crore, up about 42 percent. We continue to expand our footprint. We now have 3,442 stores in 679 cities. Our smartphone brand LYF is among the top five brands in India. For full analysis watch the video.